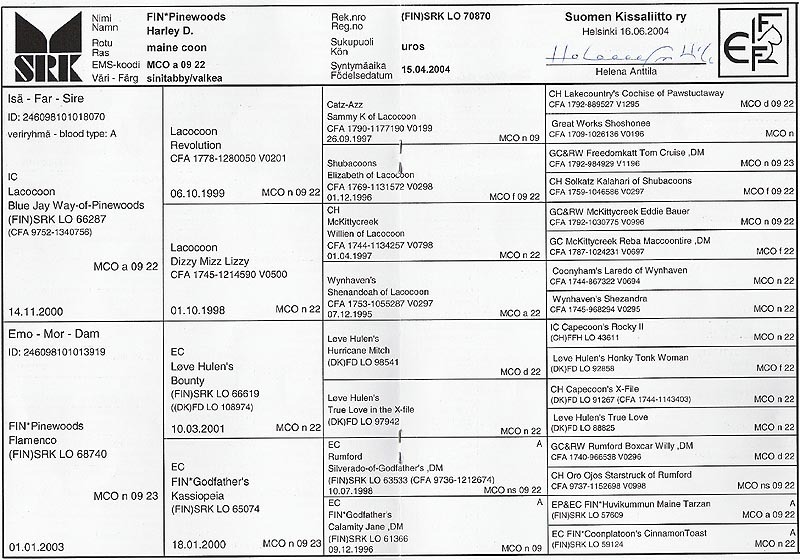 28.08.05 Elli's page updated and Hartsa's pedigree and a new pic of Indy added. Raitakatin Finduilas; EX1; Nominated, BIS!!! Raitakatin Déor; CAP, PREMIOR, BOX!!! 07.05.05 Kittens-page updated and new page for F-litter. Few updates on other pages. 07.11.04 New pictures of C-litter. Updated showresults. Escape's Indyana Jones; CAC, BIV-tot, Nominated, CHAMPION!!! 03.03.03 Updated Home-page, Links and new page for Mocca.